Hurray! Vacations have begun and Kids are at home. Seeing this Mom is very happy and wants to begin their vacations with something delicious. 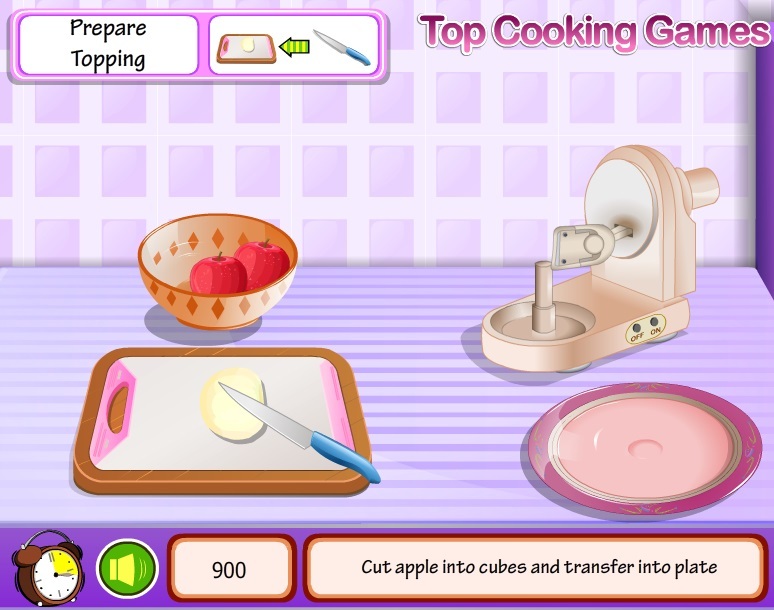 She decides to prepare their favorite Almond and Apple Cake. The creamy mouthwatering cake tickles your taste buds and also smells heavenly. Help Mom in preparing this elegant dessert for kids and surprise them with delicious moments. After baking and decorating, serve it with hot cup of tea. Have a yummilicious day!